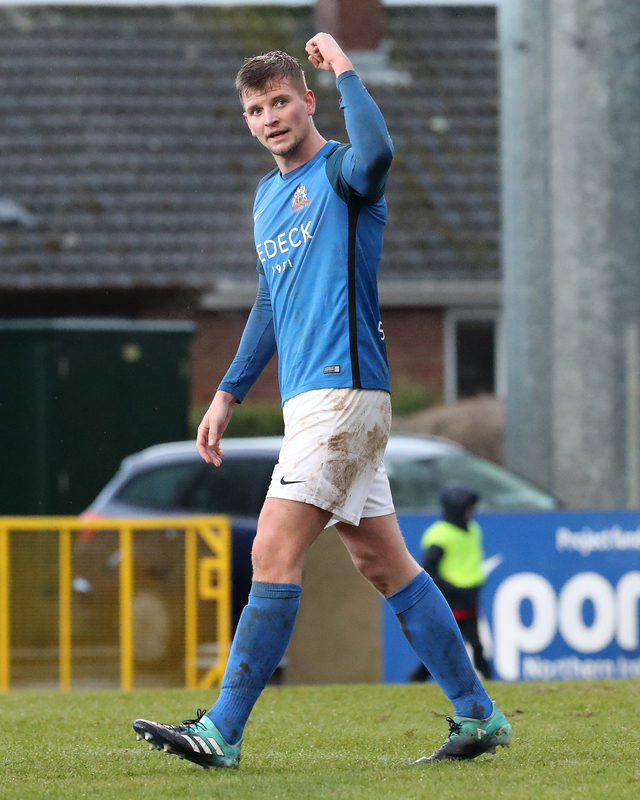 A Glenavon team featuring five changes from the last league game deservedly emerged 2-0 winners against Ards at Mourneview Park. 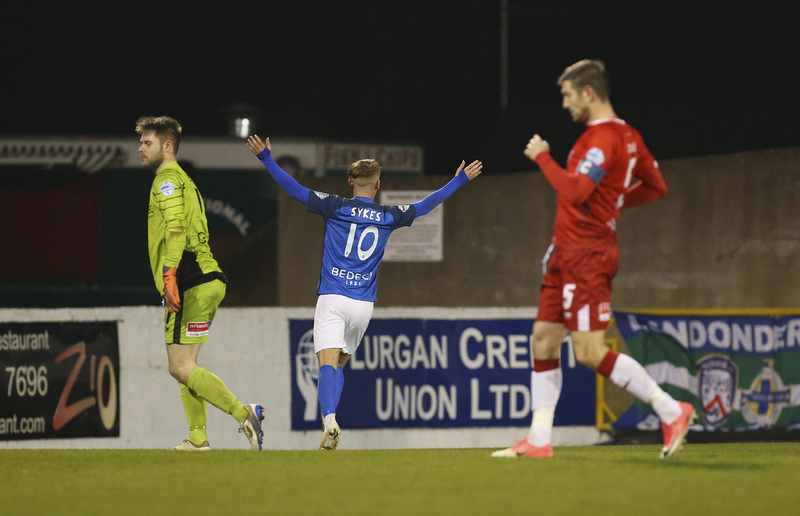 With Monday night’s Irish Cup tie with Dungannon Swifts in mind Gary Hamilton himself played the full 90 minutes as Cameron Stewart marked his debut with a goal and an assist. 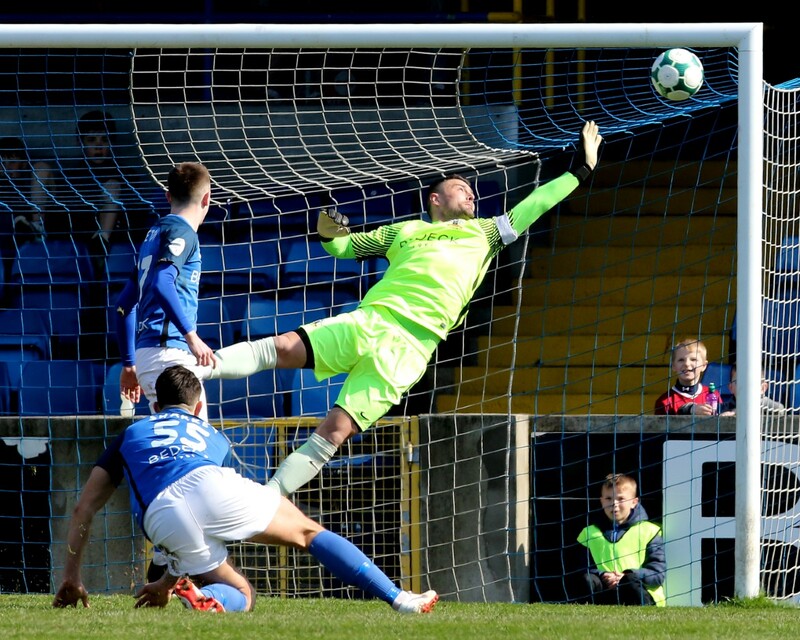 Rhys Marshall sat the game out as he is on four yellow cards and Conor McCloskey and James Singleton occupied roles in the centre of midfield as Stephen Murray filled in on the right with Hamilton and Stewart the strike partners up front. 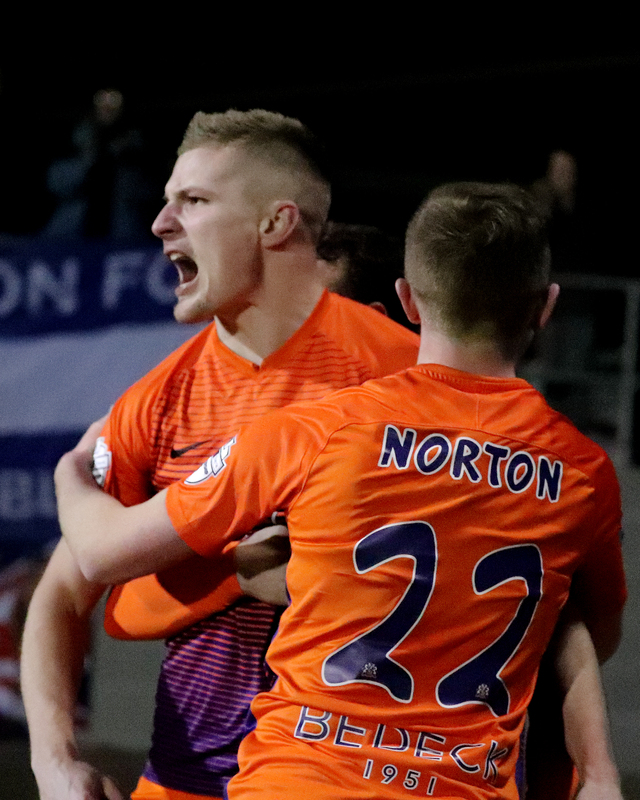 The Sponsor’s Man of the Match Josh Daniels provided the cross for the opening goal for the on-loan Linfield striker who had who had already been denied by a brave block by Kym Nelson before he steered the opener past Sam Johnston with the aid of the post to open the scoring in the 62nd minute. 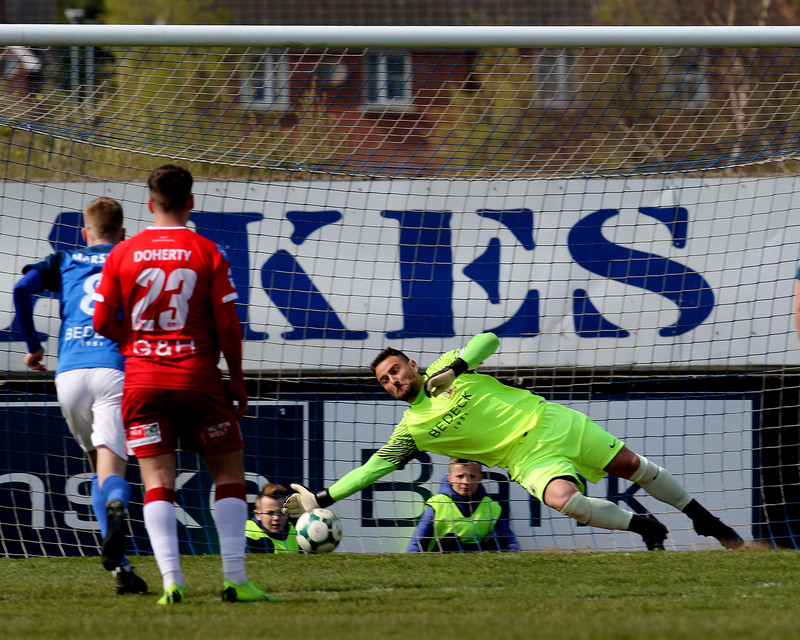 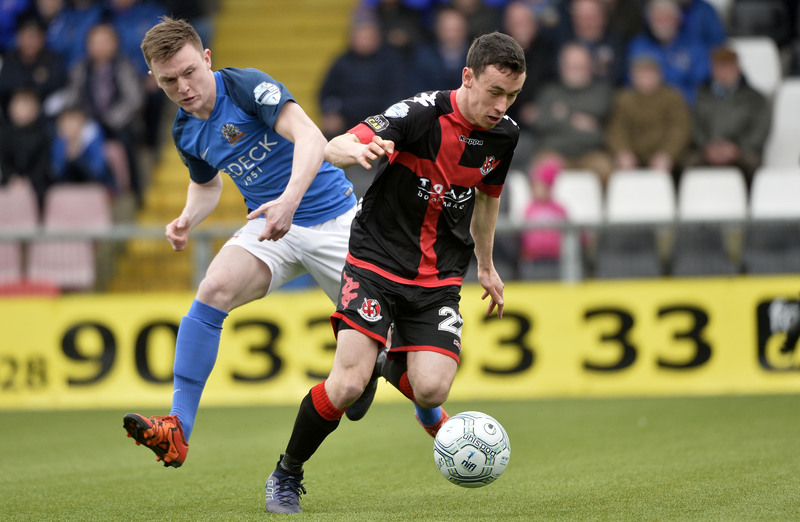 The tall striker earned the penalty that was converted by McCloskey in the 70th minute, running on to Singleton’s pass before touching the ball past Johnston who brought him down.